?Healthcare provider Bupa has added its support to the newly launched WAFL Women’s competition and Channel 7’s WAFL broadcast as a premier partner of the West Australian Football Commission. 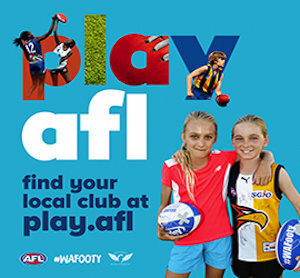 Bupa will help take the new women’s competition to a wider audience by supporting the live-streaming of a WAFLW game on the WAFL website each week, and the 2019 WAFLW Grand Final broadcast live on Channel 7. 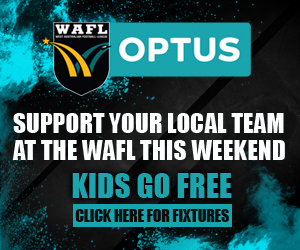 The Bupa logo will be proudly displayed on the shorts of WAFL and WAFLW League and Reserves players and Bupa members will receive discounted offers to attend WAFL fixtures as part of Bupa’s support of the WAFL men’s and women’s competitions. WAFC CEO Gavin Taylor thanked Bupa for their support heading into an exciting new era for WA Football. “We are looking forward to a big season ahead with the addition of the WAFL Women’s competition and West Coast Eagles WAFL team, supported by new premier partner Bupa,” he said. “Bupa’s support will help us to implement a high-quality State League competition for women, while also ensuring the ongoing success of the WAFL television broadcast in partnership with the 7 Network. “We look forward to working together to deliver great outcomes for both Bupa and WA Football in 2019,” Mr Taylor said. Clinton Byrne, Bupa General Manager WA Partnerships, said Bupa was looking forward to supporting the WAFC and WAFL and was particularly proud to support the inaugural WAFLW. “Bupa’s purpose is driven by helping people live longer, healthier, happier lives and we look forward to supporting the health and care of those in the WA Football community through this partnership,” he said. “Bupa is committed to making a difference to WA families, as proven through our partnership with Kids Helpline and our pledge to help Telethon Kids Institute end rheumatic heart disease. As part of the partnership, Bupa and the WAFC will also create a special WA Footy health insurance offer for participants, members and officials. Part of this offer will see a direct financial contribution made to new Bupa members’ WAFL Club of choice. 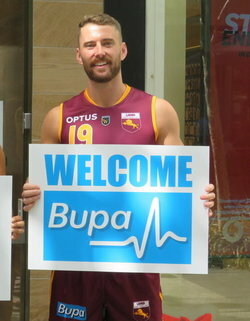 A Bupa injury and recovery hub will be launched on the WAFL website, keeping fans up to date with their favourite players.